Today is the 100th birthday of America’s most loved living poet. 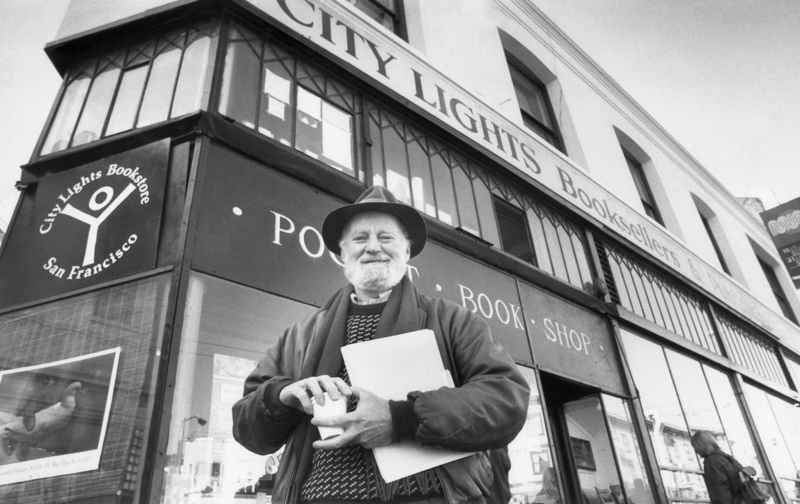 If you spend any time at TBTP, you have by now likely noticed my fondness for Lawrence Ferlinghetti. In fact, the first poetry books that I bought were his A Coney Island of the Mind and A Far Rockaway of the Heart. At the time that I chose those works, I was completely enamored with the Beat Movement and all of the writers from that generation. But I also was drawn in by the titles of these books that incorporated two of the places in New York City that played important roles in my early childhood. Still, I’ve returned again, and again over the years to Ferlinghetti for his commitment to prod America to be better and his inherent joy in words and life. So, happy 100th to the amazing poet, novelist, publisher, activist, and revolutionary. This entry was posted in Books, Bookstore Tourism, Freedom of Speech, USA, Writing and tagged Coney Island, Far Rockaway, Lawrence Ferlinghetti, Poetry, San Francisco. Bookmark the permalink. Thanks for this…I don’t usually “get” free verse, but this one is a keeper!